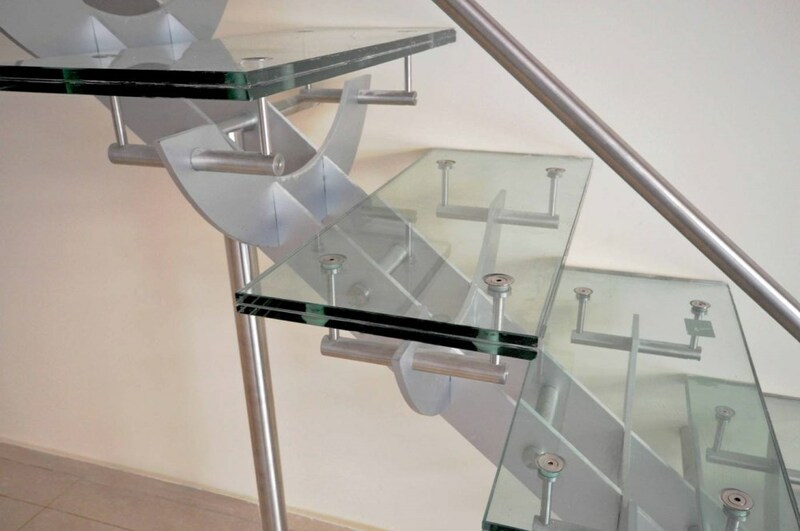 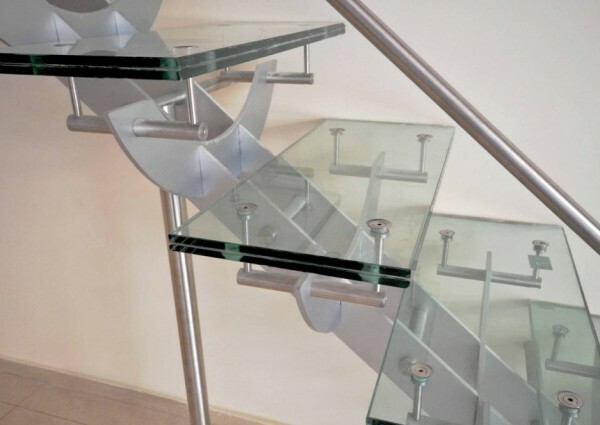 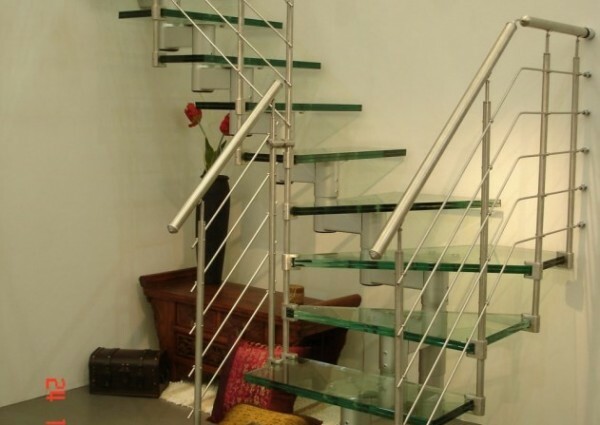 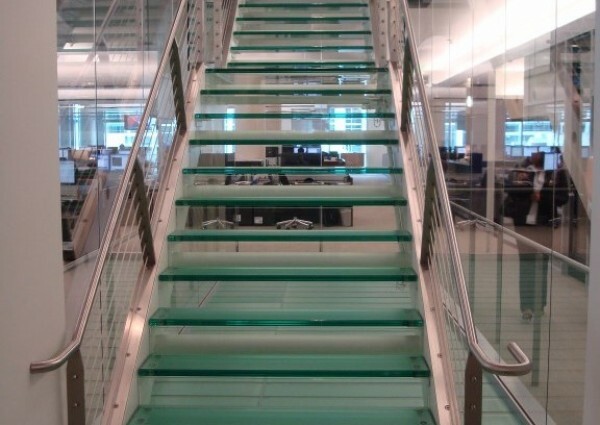 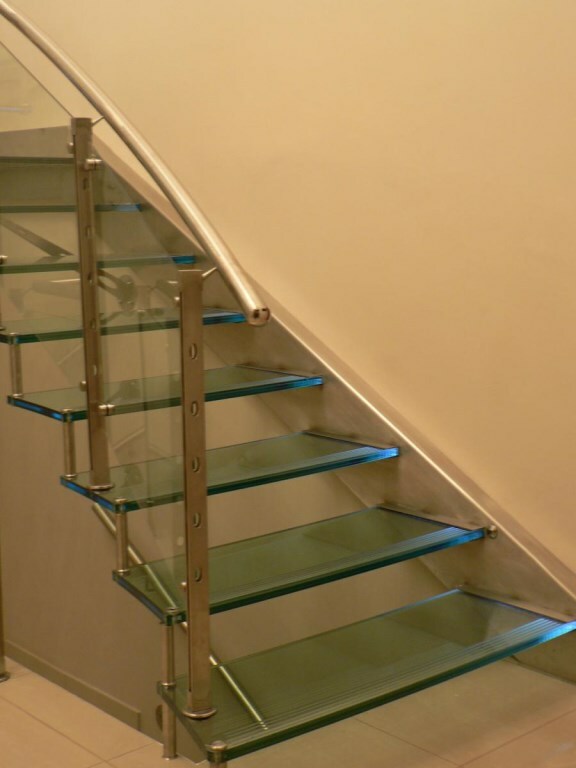 Building glass stairs and staircases with glass parts is a big challenge for fabricators and designers. 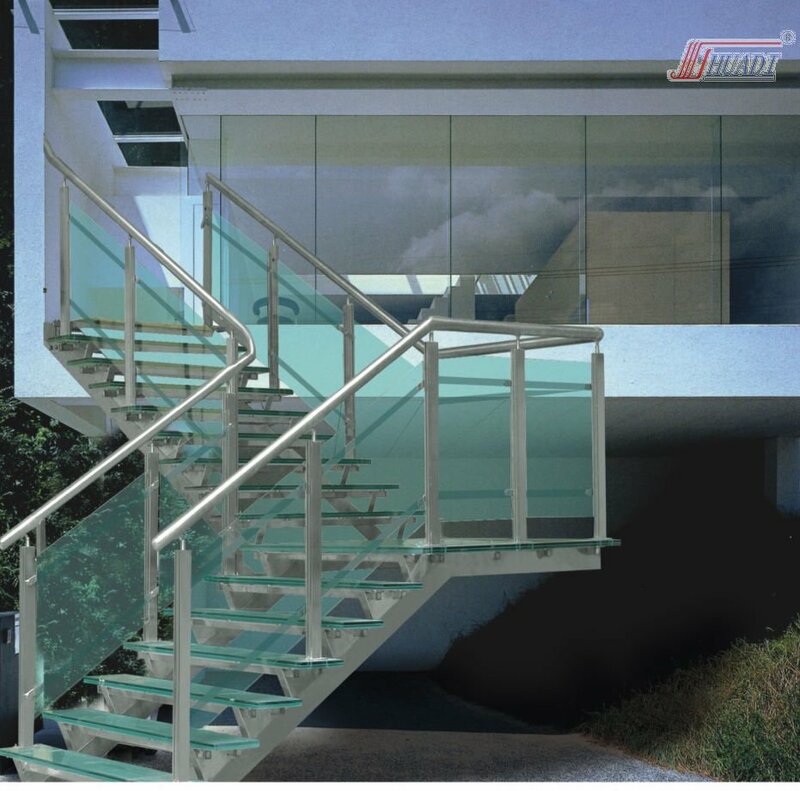 By using special architectural glass which is chemically treated, tempered and laminated it is possible to get the required strength to hold the weight of itself and the people walking on it. 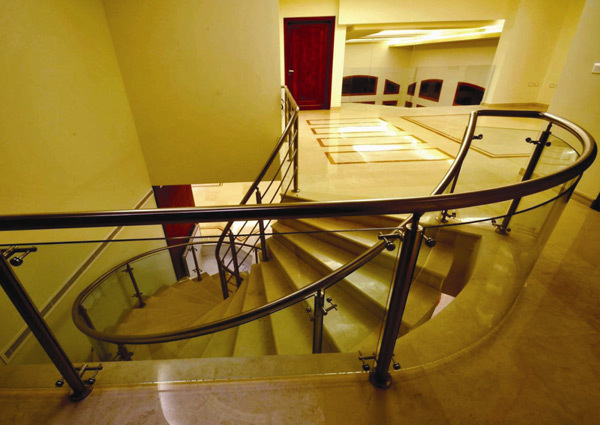 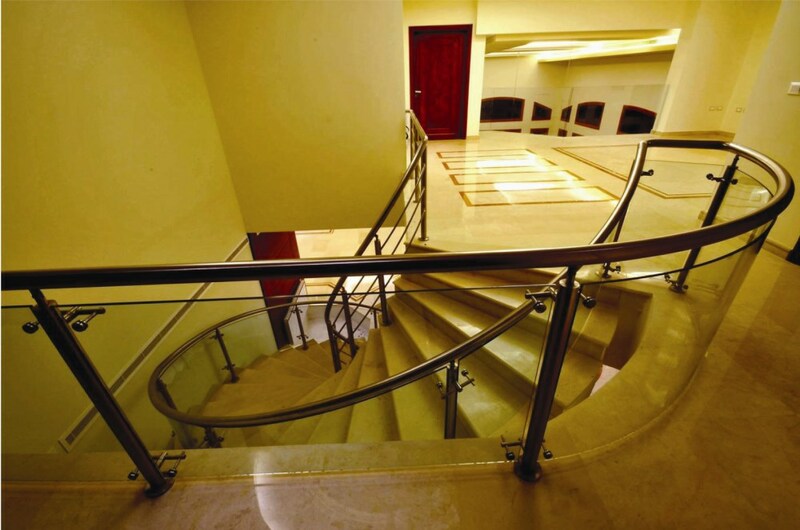 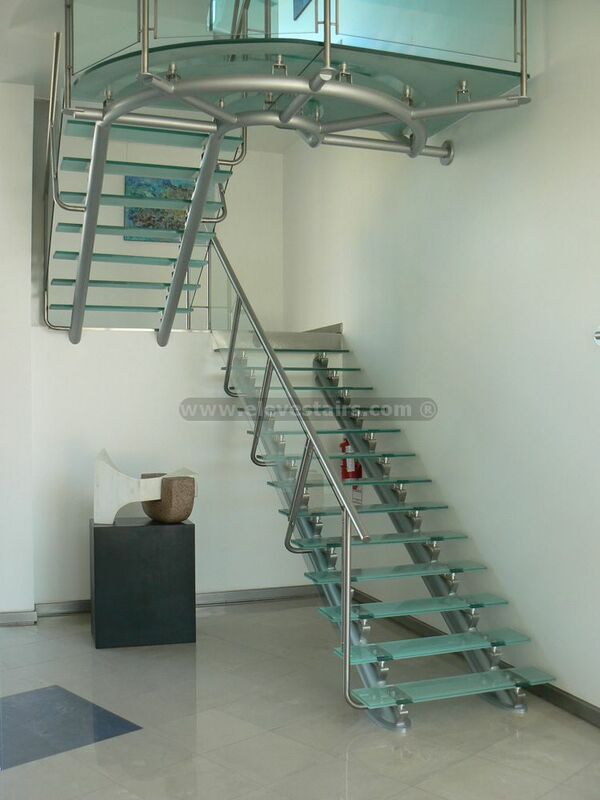 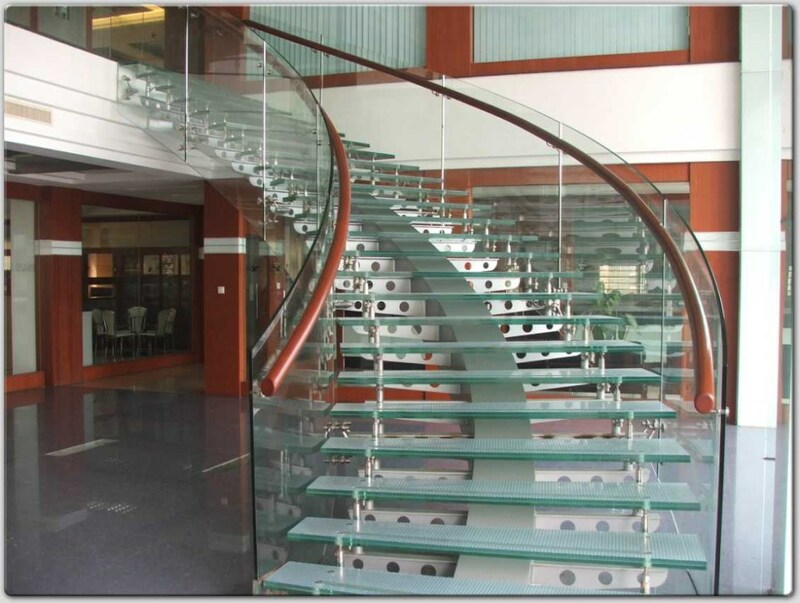 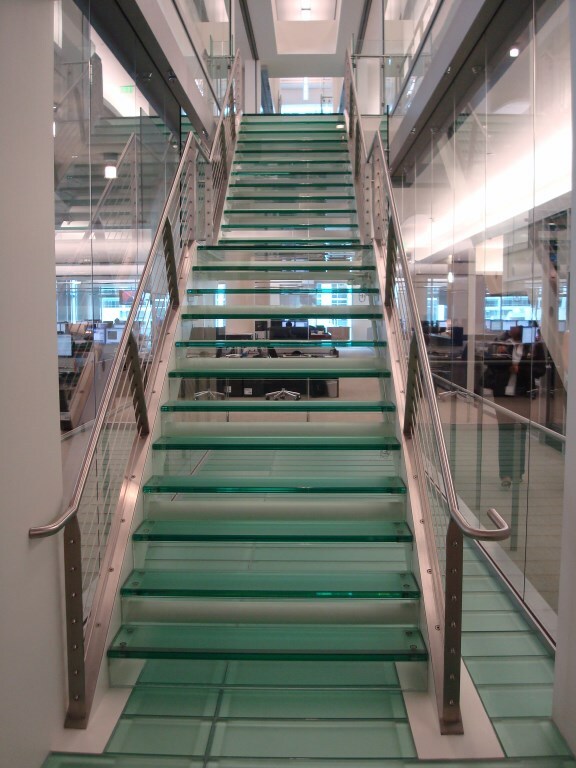 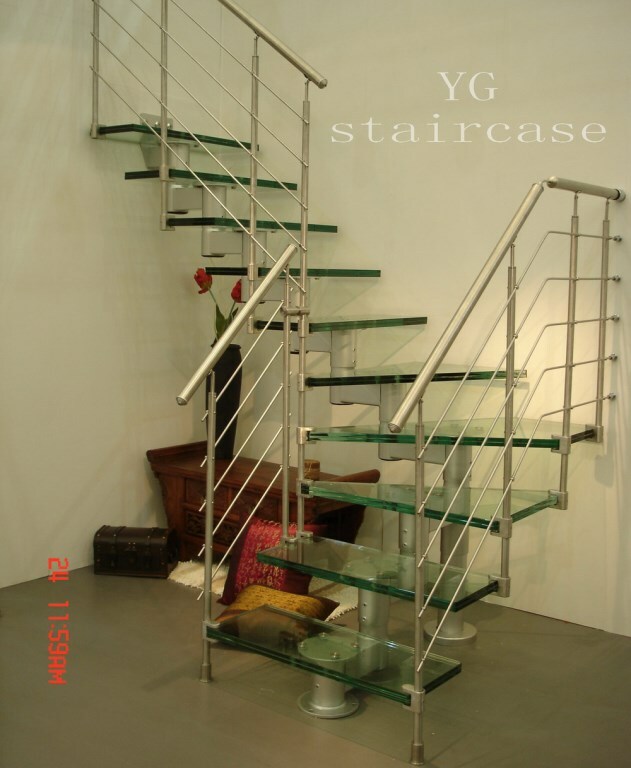 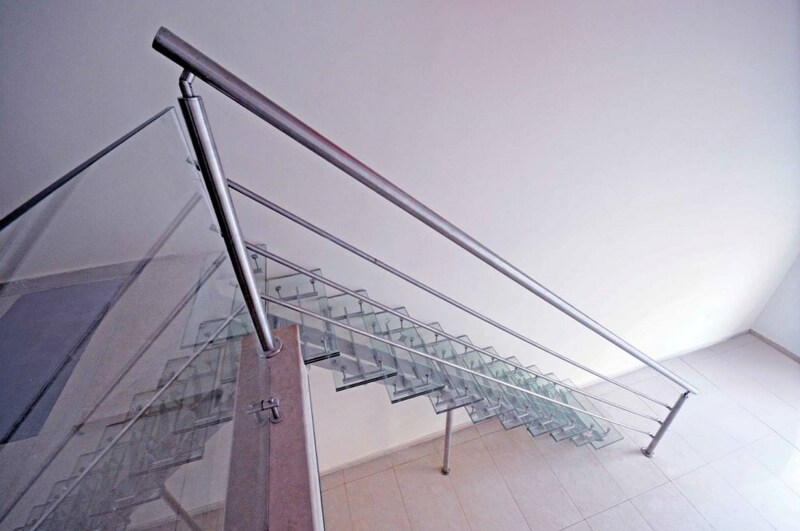 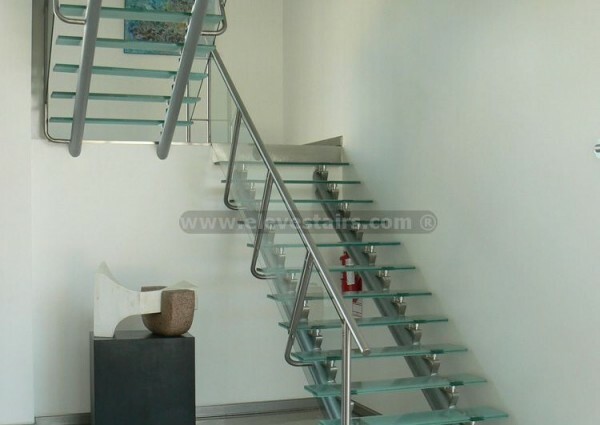 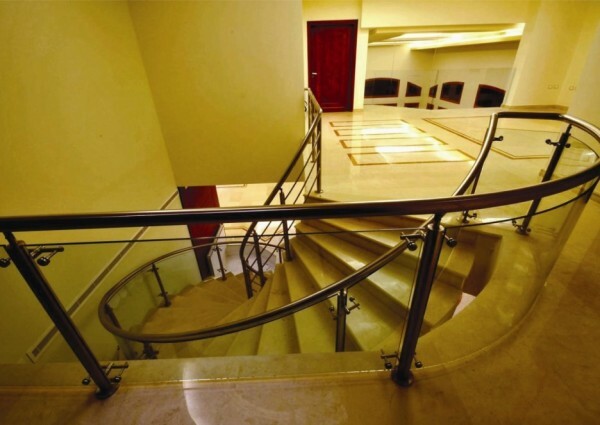 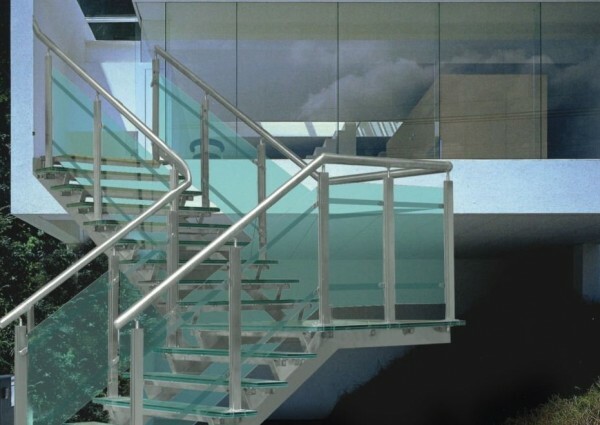 Straight and curved glass stairs and railings can be used for private and commercial projects. 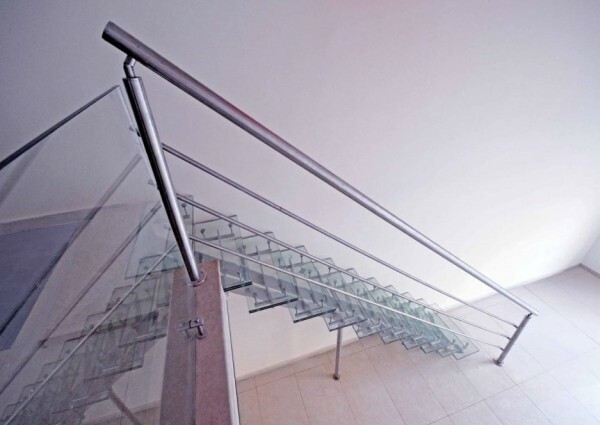 Therefore the stair can span over several floors and reach a width of up to 3 meters. 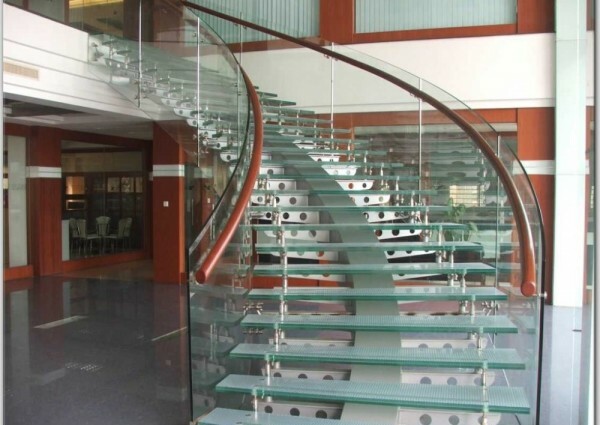 Due to the intensive work with engineers and experienced glass manufacturer we are able to handle all demands like code requirements and statically requirements. 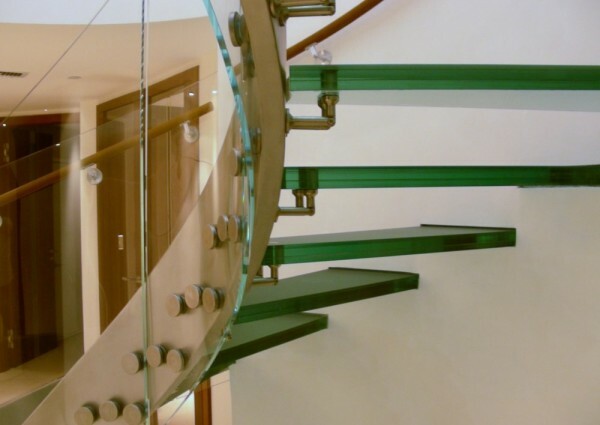 We are always researching with architectural glass so that we can provide our customers fresh, individual and innovative glass staircase designs. 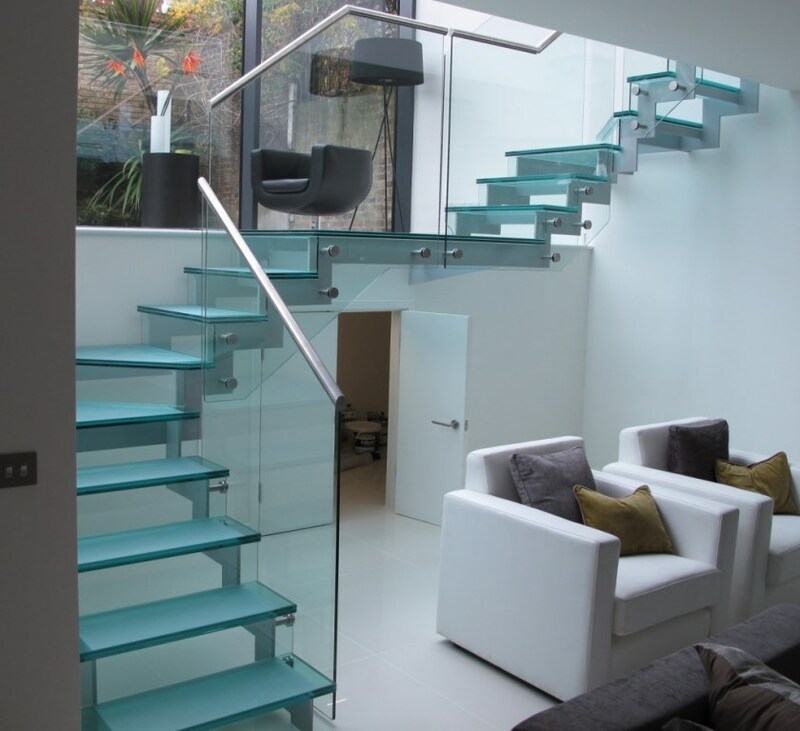 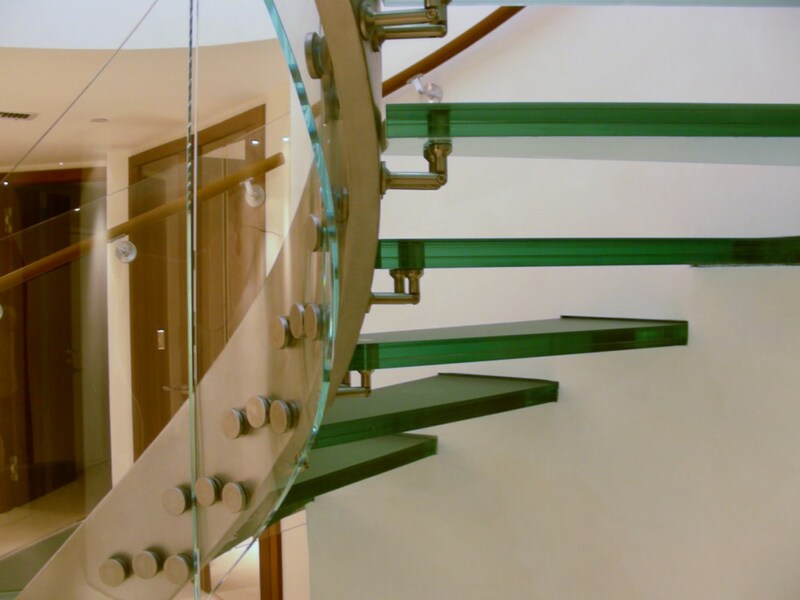 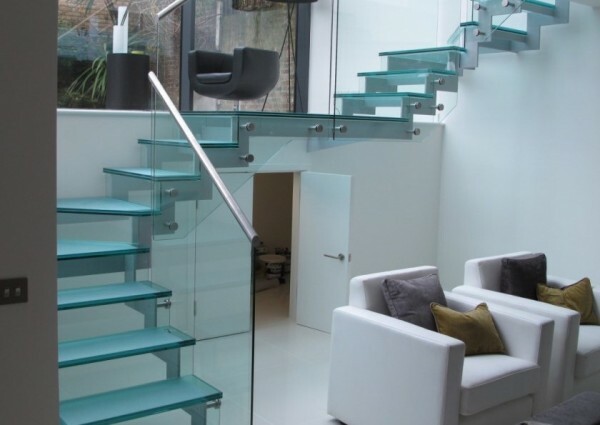 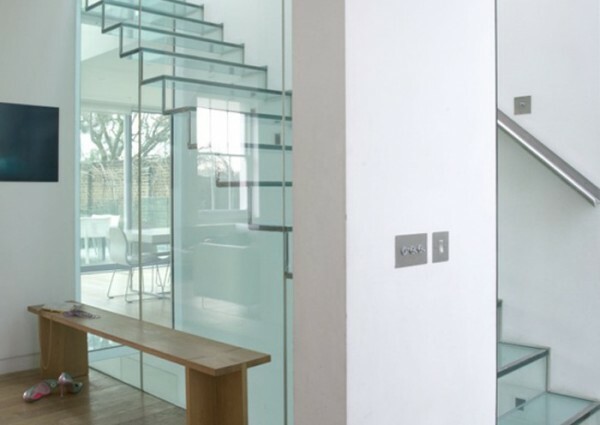 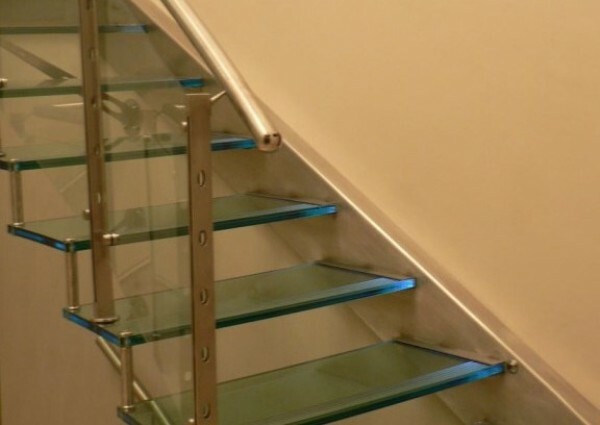 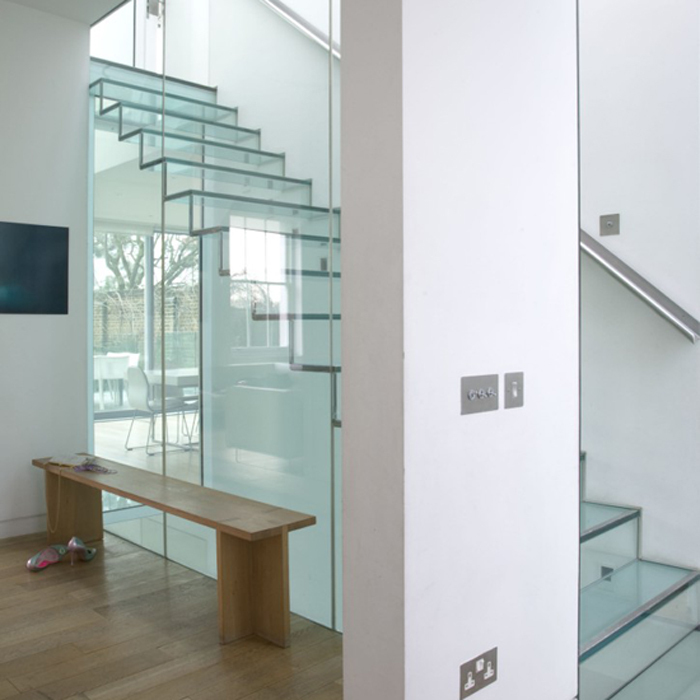 You can either choose from our standard product range or we design a stair with glass parts just for you.